It is always amaze me what people can build. So in any country I visit I try to find some interesting constructions – buildings, bridges, towers. Do you know what is longest bridge in the world now? Here is the list of top 5 longest bridges in the world at this moment. I didn’t see them yet, but love to see one day. Located in Beijing and it is a 29 miles (48 kilometers) long railway viaduct on the Beijing–Shanghai high-speed railway. Burapha Withi Expressway (official name of highway) in Bangkok, Thailand. It was considered longest bridge in the world until 2010, but was excluded from the list because it doesn’t cross any water (except Bang Pakong River) of the most of its length. But still it is great 34 miles (54 kilometers) long structure. When The Weinan Weihe Grand Bridge was completed in 2008 it was the longest bridge in the world, but it was holding that title only for two years. The bridge is 49.5 miles (80 kilometers) long. 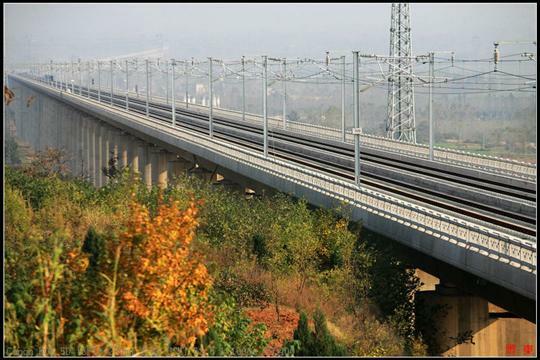 It is part of high speed railway connecting Zhengzhou and Xi’an. 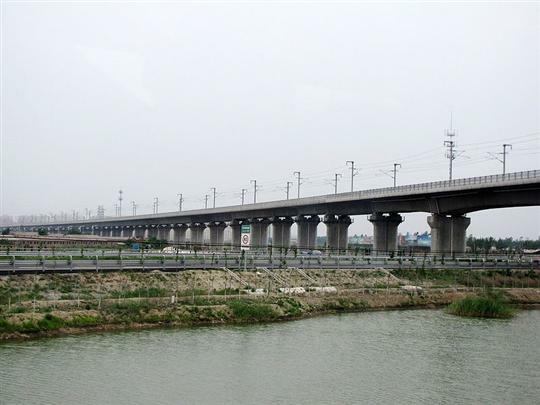 Tianjin Grand Bridge is also a railway viaduct bridge as most bridges on this list. The bridge is recorded in Guinness World Records book as second longest bridge in the world in year 2011. The length of the bridge is 71 miles (114 kilometers). 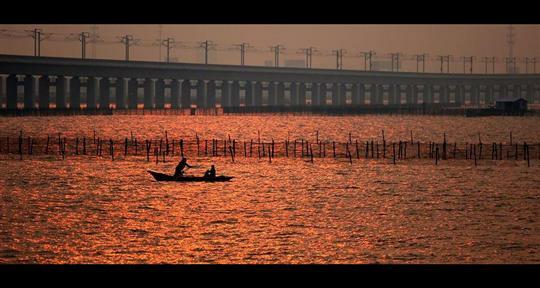 And the longest bridge in the world for today is Danyang–Kunshan Grand Bridge. It was opened last (2011) year and it is 102 miles (165 kilometers) long and it crosses the second longest Tianjin Grand Bridge viaduct. p.s. it is so hard to find right pictures of these bridges. May be it is because they are relatively new. I would be a little nervous to be on such a long bridge, but they are just insane how humans can make these physical and mental feats. As it is most railway bridges, so may be it won’t very bad to stuck there. Different situation with car, as now way to turn around. That’s crazy a bridge over 100 miles long. I really would have thought that the golden gate bridge would have made this list. I am not familiar with these bridges but I’m glad that you shared it to us. Thanks! China still tops them all. How many minutes or hours does it take you to reach the other end for China’s Bridge? wow…5 longest bridges! I wish if I could travel through all these bridges. Great work by Engineers.I will check it out on youtube for more details. I always thought the bridge down to the Florida Keys was one of the longest? There is more then one bridge to Florida Keys and the longest is 7 miles long. I remember driving down the bridge that connects the florida keys, now that was an amazing ride.